Good fun movie. Must watch for kids. They will love it. 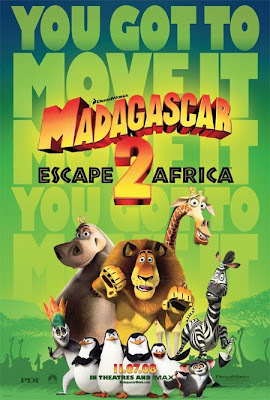 Madagascar 2 was as fun as the first one. 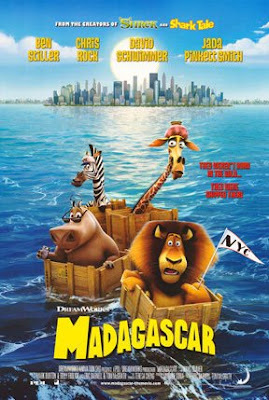 Earlier I used to think that Madagascar is a fantasy land type of place, but later while chatting to a friend online I found out that Madagascar is a actual country. Its funny. Now I have a email friend who is from Madagascar. 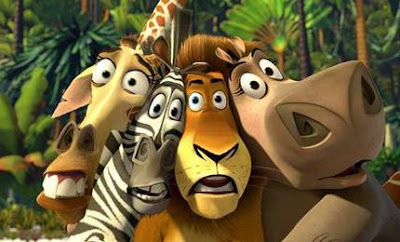 Four main characters: Giraff, Zebra, Lion and Hippo. 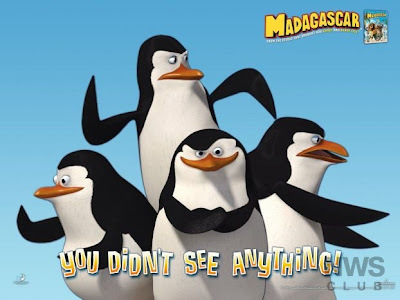 The Pengiuns in the movie are very very funny.